In 2018, the Lithuanian startup community achieved the record-breaking results, i.e. attracted EUR 70 million in investments from abroad and Lithuanian investment funds. At the same time a legal basis for a better business environment was being developed for innovative Lithuanian business, what will determine a more significant breakthrough of the Lithuanian startup ecosystem next year, a press release from Startup Lithuania states. "The current startup community has more than 500 young, innovative companies, and it is the best result in the history of Lithuania. In order to stimulate the growth of the community, this year, the Ministry of Economy has directed the European Union investments amounting to EUR 11 million for startups to be able to use them, young companies developing products in cooperation with science institutions could apply for EUR 75 million, and the risk capital funds have already reached or will soon reach the amount of EUR 30 million. The goal of the next year is to accomplish and implement the improvement of the startup business environment starting from additional job places in the team of "Startup Lithuania" to the legal regulation of options. Therefore, the conditions for this community to grow will improve, and we hope that it will grow faster than in this year," Minister of Economy Virginijus Sinkevičius claims. Startup idea trends: What direction are modern day innovative entrepreneurs taking? 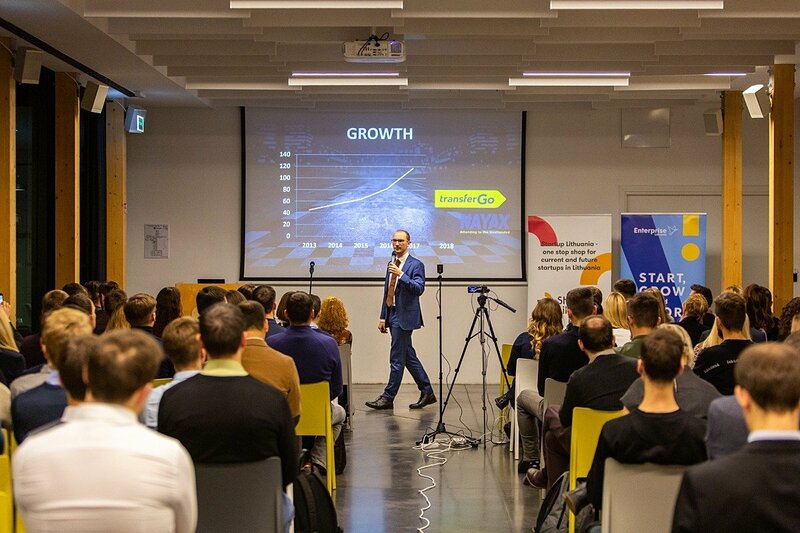 According to the startup database of "Startup Lithuania", Enterprise Lithuania Startup Lithuania ecosystem promotion division, the number of startups has grown by 58% as of the last year, and it was significantly determined by the investment programmes offered by the Ministry of Economy. "This year we are especially delighted with the fact that the Lithuanian startup community succeeded in attracting the record high amount of investments, i.e. over EUR 70 million, which is 1.5 times higher than the amount attracted last year). Also, a firm legal basis for further startup activities was formed in Lithuania. The year of 2018 saw a great deal of initiatives on the improvement of the business environment for startups in Lithuania, and there is no doubt that all this will make it easier to develop innovative businesses," Roberta Rudokienė, head of "Startup Lithuania" said. According to Roberta Rudokienė, this year, the Ministry of Economy of the Republic of Lithuania established a startup ecosystem working group, the results of the work of which and the launched initiatives will be implemented in 2019. "Lithuanian startups have been gaining a significant place in the Lithuanian economy, the trust of foreign investors, and they are ready for future records awaiting them in the upcoming year," Mrs. Rudokienė said. As the data of the analysis of the Lithuanian startup ecosystem "Enterprise Lithuania" shows, the innovative startups, which were actively established in Lithuania in 2012-2013, are currently demonstrating the best operative results. At present, about 70% of startups, which registered their activities in Lithuania, receive stable income, and 75% of them perform profitable activities. The annual turnover of successful startups increases by an average of 27% annually, the average profitability in 2017 reached 9%, whereas, in 2016, it reached 19%. It is estimated that one startup with stable revenues in 2017 generated EUR 1.7 million of revenues and earned EUR 200 thousand of profit. In 2017, profitable startups paid to the Lithuanian budget EUR 2.8 million of income tax. The main reason of the decrease in the profitability of startups is the wage costs. According to the data of September 2018, the growth of wages in startup companies reached 18%, whereas, the growth of wages in the whole Lithuanian labour market reached 10%. In Lithuania, the involvement of business into the enhancement of the startup ecosystem has been increasing over the recent years. The Blockchain Centre and SEB Innovation Centre have been opened. According to the data of the latter, next year, SEB bank is planning to invest EUR 2 million into startups. In this year's March, the Lithuanian Business Angel Network (LitBAN) was established, and over 2018, it has received over 140 startup applications for investments. "Although such associations operate successfully in Latvia, Estonia and other countries, Lithuania did not have an organisation uniting business angel, and investments acted individually or were united under private initiatives. "LitBAN" network was established in March 2018, and within a period of less than a year, 68 business angels joined it. The network has received 140 applications from startups, and, currently, negotiations over several investments are taking place. 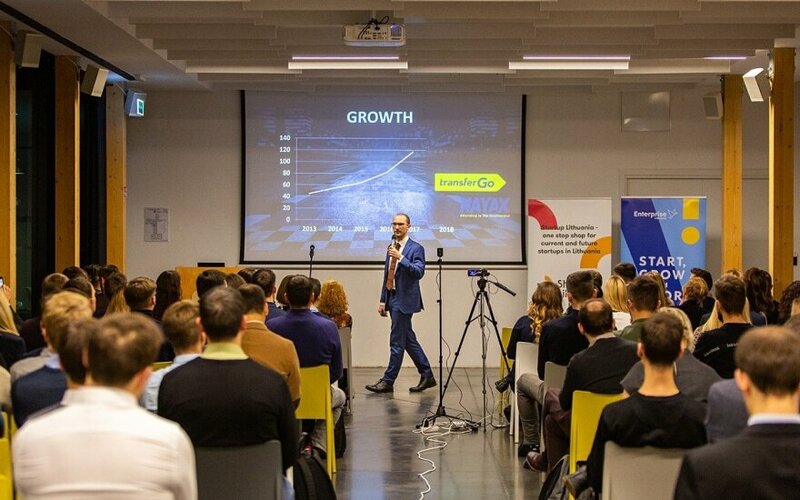 It is expected that coordinated activities of business angels will encourage investments into the early business stage, the development of startups and innovations, which will further enhance the local startup ecosystem," Martynas Kandziarauskas, Board Member of the Lithuanian Business Angel Network, claimed. Although this year's achievements of the startup ecosystem are delightful, yet, the performed analysis shows that the major share of the early stage startups fail to further develop their products due to the lack of knowledge or financial resources. These are reasons why active works on the establishment of two acceleration funds in 2019 have been launched this year. "We often see how the early stage startups disappear before fully accomplishing the testing of their product, what is determined by the shortage of funds at the early stage. "Startup Wise Guys" accelerator will seek to invest in at least 45 B2B startups having a prototype or generating income. The investing process will be performed in several stages – from the early stage of EUR 30 000 to the later co-investment of EUR 225 000. At the same time, startups will participate in a three months' accelerating programme. The programmes will focus on specific sectors – SaaS, Fintech and Deeptech. The first start of the programme is scheduled for April 2019," – Jonė Vaitulevičiūtė, partner of "Startup Wise Guys Lietuva" fund, claimed. According to the data provided by the database of "Startup Lithuania", there are 506 startups currently registered, and one fourth of them have not established a company. The most popular legal form among startups is private limited liability company (UAB). The major share (75%) of startups are established in the city of Vilnius. More than one third (37%) of startups operate in the field of information technologies (IT), 6% operate in e-commerce, 5% – in the field of financial services, and other develop other versatile innovative activities. Startup Lithuania ecosystem division of "Enterprise Lithuania"
How to grow a Lithuanian unicorn?